If you want to polish up your game, while away an afternoon discussing opening gambits, or are a complete beginner, we are the club for you. We meet every Monday 1.45-5pm at the Kinson Community Centre. 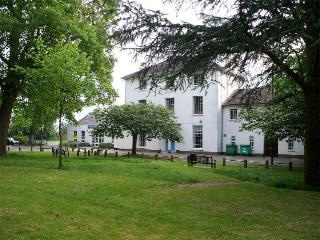 Kinson Community Centre is a Grade II listed building, surrounded by the award winning Pelhams Park. There is ample parking available. We compete in the Bournemouth and District Chess League B&DCL. Places are available for league matches, so sign up now to guarantee your place for next season, beginning in the Autumn.